Posted on Mar 6 2018 - 8:59am by Robby S.
Been difficult to find things worth writing about lately. Most of the gadgets are boring or ridiculous. 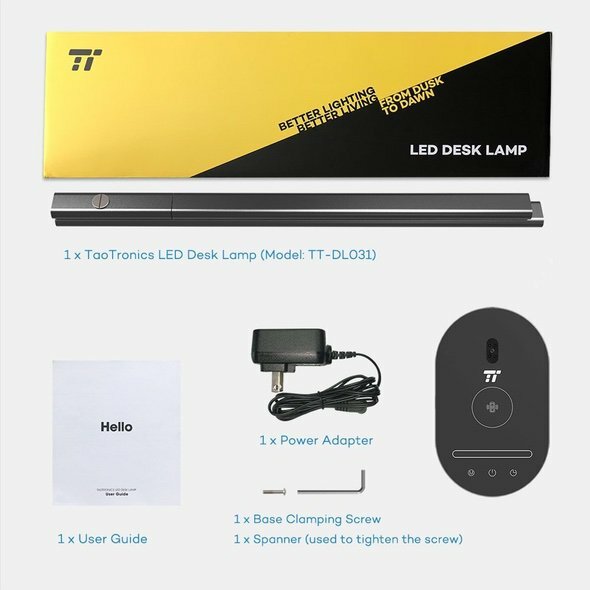 This TT-DL031 TaoTronics LED Lamp ($49) comes with a built-in Qi wireless phone charging pad. Perfect double duty and less clutter and cordage running across your desk. 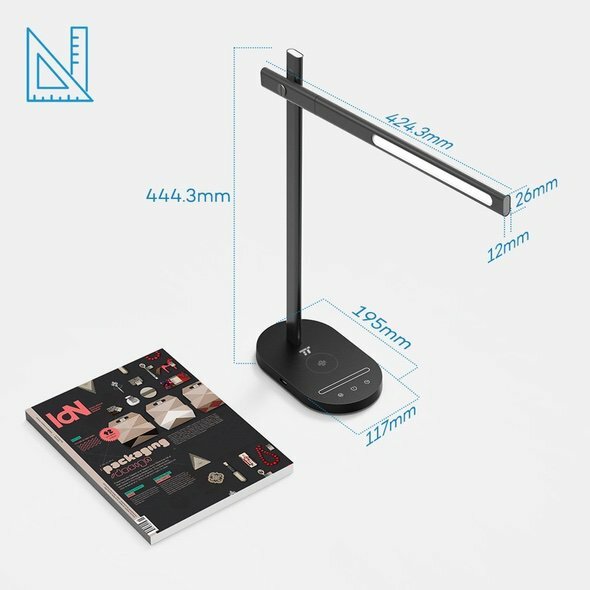 The TT-DL031 happens to be good at both of its jobs, lighting and charging. 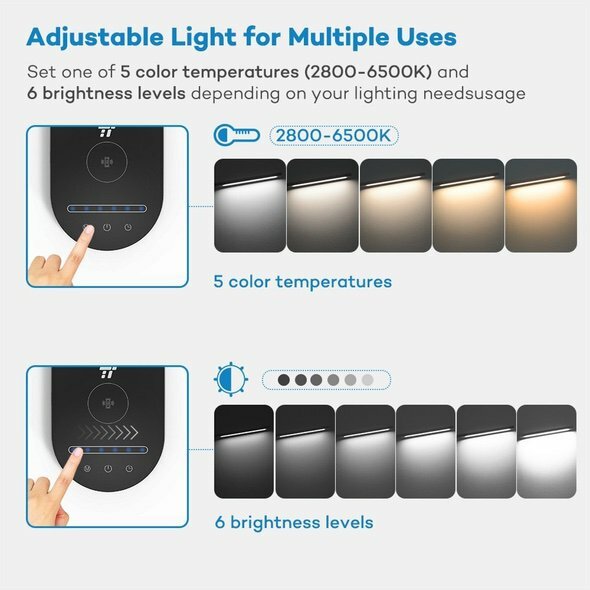 On the lighting front, it lets users pick between 6 brightness levels and 5 color temperatures (from 2800 to 6500k). 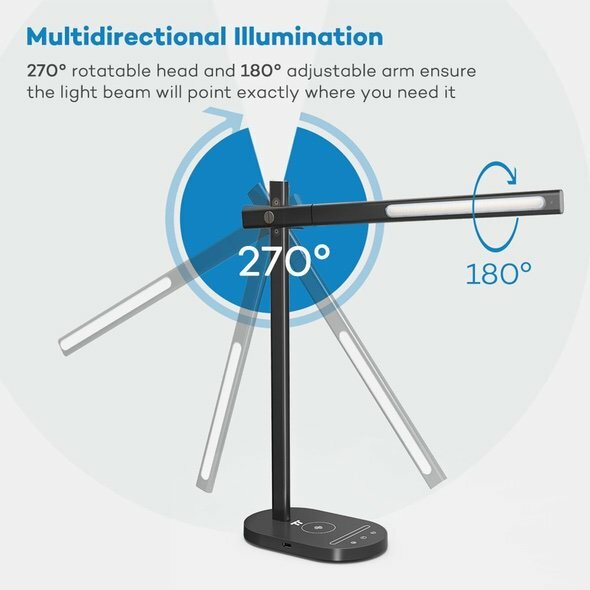 The illumination head can rotate 270-degrees and the arm can move 180-degrees. 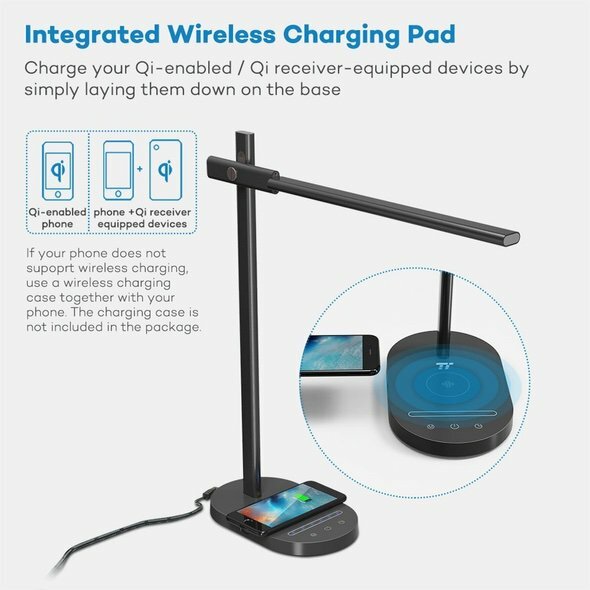 The base of the lamp has a nice spot for charging your Qi enabled phones and an additional USB port for your non-wireless devices. 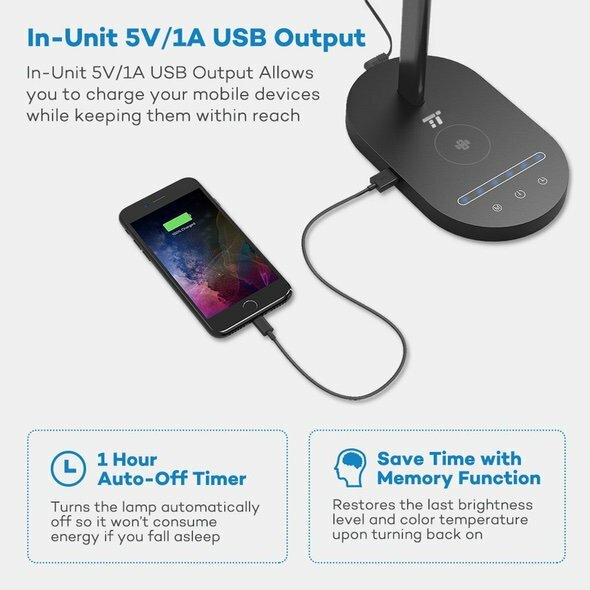 No motion of the wireless charging speed with this one. 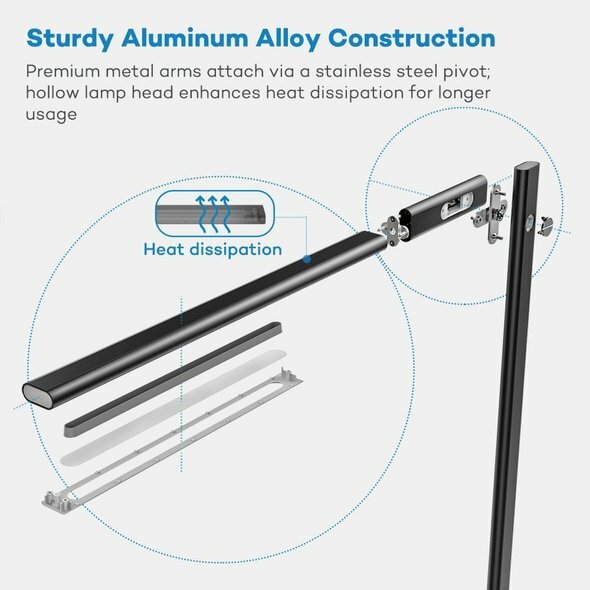 There is also a less expensive model, the TT-DL036, which charges at 10W.